So you’ve purchased a hot tub — or maybe you’re considering buying one right now (congratulations!). Now you just need to decide where to put it. Where you install your spa doesn’t have to be a difficult decision, but there are a few things you will need to consider to strike the right balance of practicality and comfort. You can put a hot tub on a deck, patio, under a gazebo, or anywhere else in your backyard (or indoors) that meets the foundational requirements. What are the foundational requirements for hot tubs? In addition to the foundational requirements, you need to think of how the hot tub will get into your backyard in the first place. If the delivery team can’t access the area you have selected (or your backyard in general), you’ll have a problem. How much space do I need for delivery access? Typically the hot tub will be loaded onto a cart and brought in on its side, so the access point to your backyard needs to be at least as wide as the hot tub is tall. It is also possible to temporarily remove some fencing or patio/deck railing if more space is required for delivery. Another entry option some hot tub and swim spa companies offer is using a crane to air lift the hot tub into the backyard if access isn’t possible another way. What other hot tub installation requirements do I need to know? power source – Depending on the voltage needs of your hot tub (110V or 220V), you’ll either need to be close enough to an outlet to plug in your hot tub or close enough to your electric panel for a certified electrician to run wiring. water source – One nice thing about installing a hot tub is that it doesn’t require plumbing! A garden hose is all you need, and you only need to drain and refill your tub 2 times a year. maintenance access – Make sure you can easily access the hot tub maintenance panels and open the panel door all the way so maintenance is easy to do. What else should I consider for my hot tub placement? 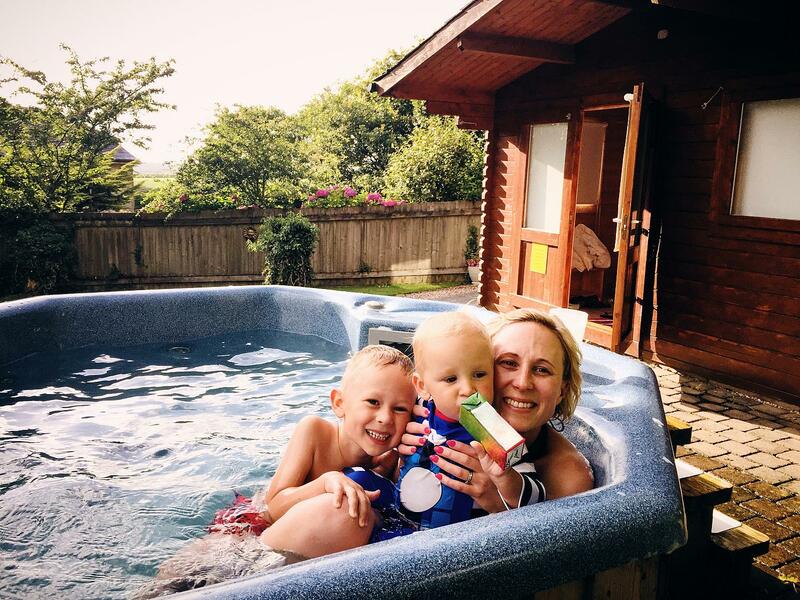 Once you’ve taken care of all the practicality and functionality issues, you just need to think about how you will be using your hot tub so it works for your lifestyle. Make sure you pick a location that is convenient for you and your family. Maybe the back corner seems like the perfect spot — but do you want to walk to the back of your yard every time you want to go for a soak? Maybe a spot closer to a patio door would work better for you. Privacy is another aspect that needs some attention. How much privacy you need is up to you, but you’ll want to think about that before you inadvertently put your hot tub in full view of the neighbor’s window. Since a quality hot tub will last decades, selecting the right location is an important decision. If you need a little help, don’t worry. The experts at Cal Spas of Minnesota can help answer any of your installation questions. If you’re just starting the process of finding the right hot tub for you, reach out to us — we’re here to help! Fill out your information to be contacted by a member of our sales team with more information about our spa systems. Stay up-to-date with all of our upcoming sales and events! If you are looking for a free spa consultation or simply want to get some additional information about one of our spas, please do not hesitate to contact us. © 2019 Spa Stores.All Rights Reserved.